Big Boi, 'Gossip': Southern Royalty in the House! This morning, Atlanta DJ Greg Street dropped a new Big Boi single from his upcoming album Vicious Lies & Dangerous Rumors, and it's a heavy-hitter featuring Southern rappers from eras past, present, and future. 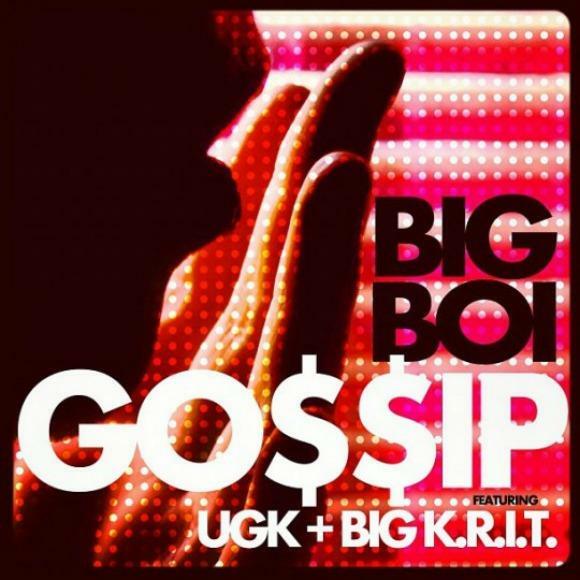 Bun B and Pimp C (who passed away four and a half years ago) of the legendary duo UGK contribute verses, as does the increasingly popular Big K.R.I.T.. For Southern rap fans, "Gossip" is a huge treat. The rest of Big Boi's pending album sounds equally promising with guest appearances from Kid Cudi and Little Dragon, just to name a couple. Stream the track below on repeat while you wait for Vicious Lies & Dangerous Rumors, which comes out on 11/13.